Suzi Quatro: If You Can't Give Me Love . A great way to start off the show. My knowledge of Suzi Quatro songs begins and ends with Devil Gate Drive (and He's A Sports P.A. from the BBC Christmas tape Good King Memorex) but this is catchy and fun. Col Foster is put on trial after details of SHADO activities are leaked to the press. “This whole thing is ridiculous” declares Col Foster and it’s hard to disagree. Most series try this episode type wherein previously loyal friends suddenly believe one of their number is capable of something heinous only to discover the accused has been set up. Then they apologise and have a laugh. Trouble is, the writer needs to be rigorous enough to make us believe that the evidence is so overwhelming that associates would turn on their fellow worker or friend accusingly. UFO being a Gerry Anderson series, this largely consists of process and technology. It doesn’t seem to occur to anyone to ask why Foster would suddenly turn traitor or for that matter who he might be working for. 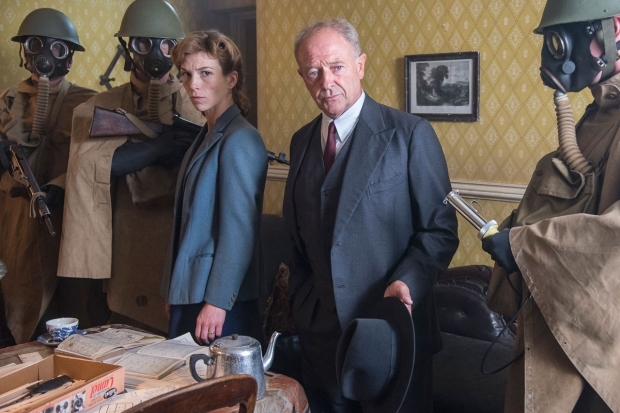 Foyle’s back- and now he’s a spy! 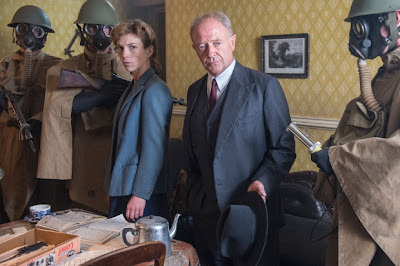 Foyle’s War has the distinction, if you can call it that, of being a programme that was only cancelled because a senior executive did not like it despite its success. The culprit Simon Shaps showed peculiar lack of understanding of his audience when he took the decision that forced the series to wrap up what had been a carefully constructed journey in just three episodes. Then Shaps left ITV and the show was recomissioned but the problem was the War of the title was over. So, one fictional year- and three real ones- later finds Foyle in London working for MI5. Can such a sea change work? The answer is a resounding affirmative. "So who invited this lot to dinner then?" In an attempt to capture an undamaged UFO, Straker allows one through the defences to land with unexpected consequences. After a run of better episodes, `The Square Triangle` is somewhat underwhelming with Alan Patillo’s plot making hard work of an interesting idea. The problem is mainly with the sub plot in which a wife and her lover hatch a plan to kill her husband. This potters along at such a crawl the temptation to fast forward is almost irresistible as. Patillo keeps us waiting so long before they do anything interesting that the episode’s interest level slips below that required to hold our attention. "Alec, are you sure you want to live in the drinks machine?" Generation X: Ready Steady Go . Generic punk group with a lead singer who looks like a young Billy Idol *consults Wikipedia*, oh it is a young Billy Idol. It's a nice enough song but although a few people in the audience bop along enthusiastically it's noticeable that no one joins in with the taped applause at the end. 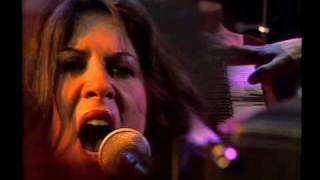 Elkie Brooks: Lilac Wine . Elkie's vignetted by flowers, presumably lilacs, as she bellows her way through this song. Taking a cue from the lyrics (“I cannot see clearly,” “why is everything so hazy”) director Stanley Appel gets the camera to defocus a couple of times and the effect is appropriately hangover inducing when combined with the floral border which remains in focus. There are 14 official Oz novels written by L Frank Baum and a plethora of subsequent stories and adaptations by other writers. The classic film The Wizard of Oz is, it seems, merely the tip of the iceberg and no doubt that iceberg is bright green. 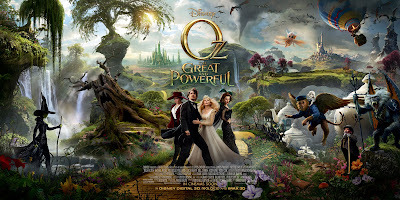 The other worldliness of this strange land suits various genres so it’s no surprise to find this awkwardly titled prequel Oz; the Great and Powerful is very much a family film. Expect it to be shown on Xmas Day television in a year or two. 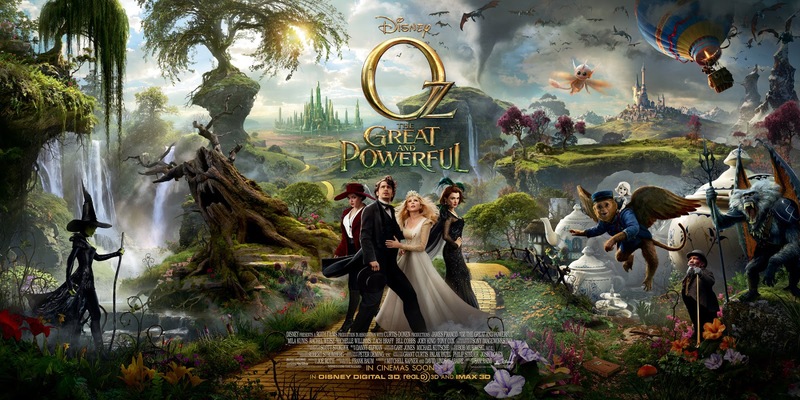 Sam Raimi’s journey to Oz is benign and visually arresting, especially in the first half hour though some may want a little more bite. 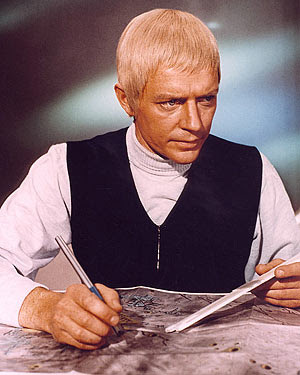 While Straker tracks down a con woman who could reveal the true nature of the film studio, Freeman is left in charge of SHADO as an out of control vehicle threatens the Monbase. A nifty episode courtesy of Tony Barwick is in effect a job swap where both Straker and Freeman experience each other’s lifestyles. Normally shut away in his office with a weird glowing screen and drinks machine, Straker is chasing a con lady with whom he becomes involved against his better nature. 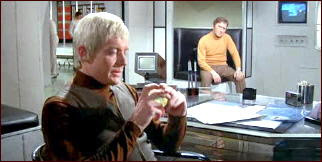 Freeman meanwhile gets to sit in Straker’s chair which gives the episode its unusual moniker. It’s frivolous at times with a whiff of spy thriller and the two plot lines are sufficiently different to provide the most varied episode of the series so far. "I know this great sci-fi show on ITV..."
The thing you often find about part 2 of a drama is how nothing much seems to happen. Having set up the premise with a dramatic flourish in the opening episode, too many dramas tread water in their sophomore week, holding back the revelations till later. 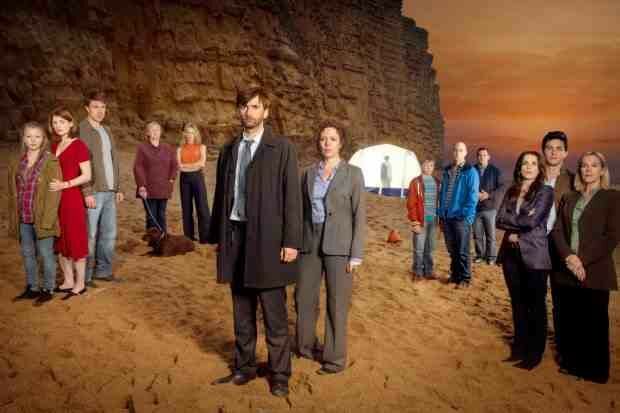 Not Broadchurch. As if this is a 4 parter, the developments come thick and fast in episode 2; indeed it is pacier than the first and certainly has more developments. Beautifully rendered and scored with atmospheric incidental music courtesy of Olafur Arnalds it has more than enough to keep you watching. "Look- I can fly!" declares Mr Selfridge. His employees are unconvinced. ﻿ Rather like the shop itself, Mr Selfridge turns out to be a pleasant surprise. In the opening episode, the idea of items being on display in such a large shop was something people thought would never work but it became a huge success. 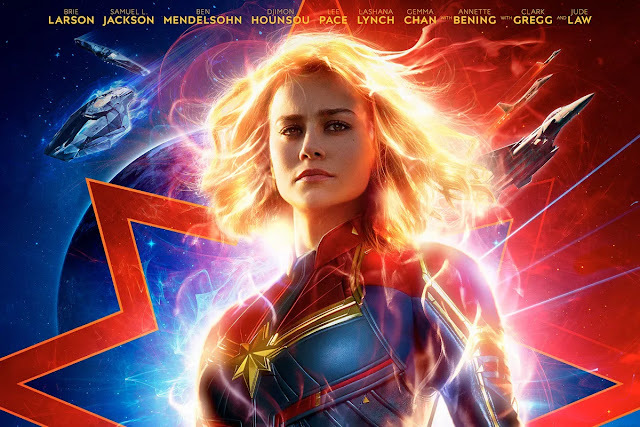 Likewise, the series seemed a little forced at first and you thought- is this really going to sustain interest for ten weeks? By the time episode 10 arrived a suitably large audience was watching to ensure there will be a well-deserved second series. It’s been called the working class Downton Abbey which isn’t quite the case; in fact the department store hierarchy is reminiscent of a turn of the century country house. 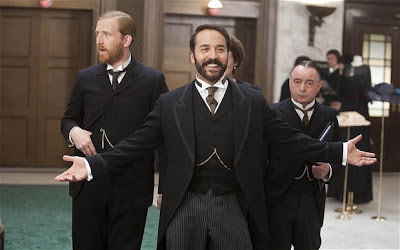 What Mr Selfridge does is improve on the other series’ somewhat stilted and predictably delivered storylines by having more defined characters. Also there is a steeliness in its main character that makes him often unsympathetic yet just as his employees are galvanised by his gusto, so the viewer is carried into a retail world we have seen little of in recent TV dramas and the result is a big ticket success. While attending a SHADO health facility, Paul Foster is kidnapped by aliens- or is he? As Commander Foster walks into a party that is - despite this being 1980- full of 1960s fashions and music the word `Ordeal` appears on screen. As it turns out, this party is not the ordeal though the viewer may disagree as we are obliged to watch people gyrating unconvincingly to the Beatles while sporting beads and kaftans. In 1980!? 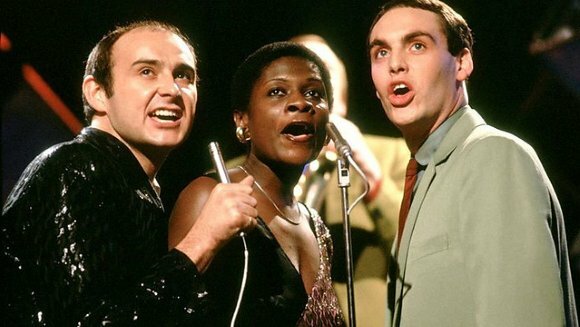 Still, it is quite impressive that the series acquired the notoriously difficult to obtain rights to the fab four’s music. The party lasts till after 4am meaning Foster gets only a few hours’ sleep before driving to the research centre for a health check. Presumably the country roads are as deserted as usual because he would surely fail a breathalyser test and therefore be spared his ordeal. The first episode of ITV’s Broadchurch is gripping and clever. 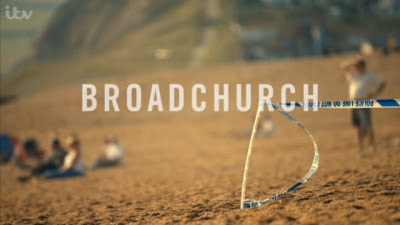 A glimpse at the plot line or trailers is enough to convince you of the serious intent of Broadchurch, ITV’s big evening signature drama for the Spring. You could debate whether such a harrowing story is suitable for prime time entertainment as it is the sort of thing that unfortunately turns up on the news every year in some form or other. You might ask whether a drama can offer either cathartic response or new insight into one of the most terrifying crimes imaginable. This is the tricky balance writer Chris Chibnall faces. 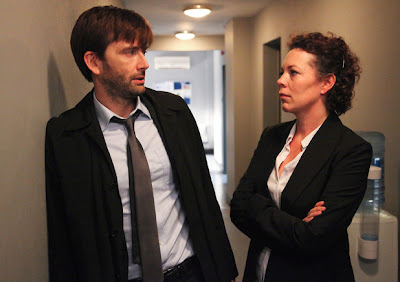 On the plus side, a superb cast has been assembled led by the versatile duo of David Tennant and Olivia Coleman both of whom have enough past form to suggest that if anyone can carry us through such a drama, it is them. So we shouldn’t underestimate the task Chris Chibnall has set himself here and on the basis of the first episode the series delivers with considerable impact. Watch it and you will definitely want to see part 2. ﻿Warning- Spoliers beyond this point. Chart music: Bob Marley & the Wailers, Is This Love . Darts: Come Back My Love . A new studio performance of a song that's been knocking around in the charts for a few weeks. At this risk of sounding like a grumpy old git I'm finding Darts' wackiness forced and irritating, but everyone else seems to love them. I also worry about the number of people on stage. There can't be much money per person once you've divided everything by nine.